For 2 ½ years, the deer–in the hundred acres that surrounds our farm–left us alone. We don’t know why. The four-foot fence around our property was hardly a deterrent. You need a 10-foot fence to keep out deer. This year, they’ve found us. We’ve seen them browsing in our fields in the morning and at dusk. I bark at them and they flee. But always they come back, at night: tip-toeing. 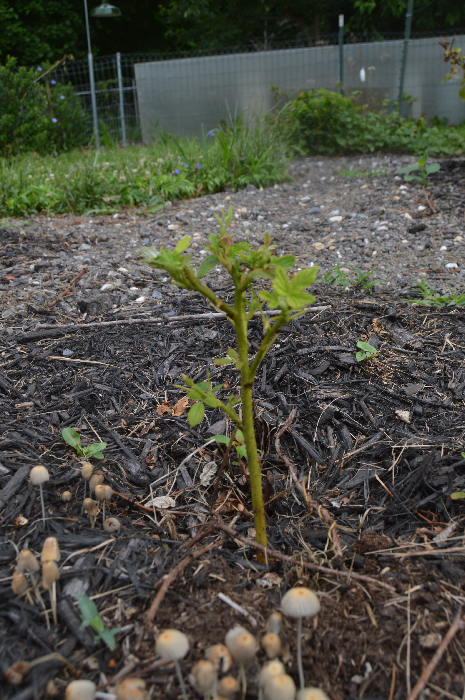 They ate down all of our berry bushes–blackberry, raspberry, blueberry. Down to the nub. We lost two years of growth. They’re particular, the deer, favoring cultivated plants. It seems they never eat weeds. At first you might not notice but then, at a second glance, you realize that somebody–something–has mowed though your plants, clipping off the flowers and buds and tender stalks: everything is stunted, cut to the quick. When they went after our new orchard, I panicked. Those saplings are too small to take a hit like that. We have fifteen trees: the loss would be both time-consuming (digging all those holes) and expensive (about $1000). I was tempted to camp out in the orchard until we found a way to thwart the onslaught. 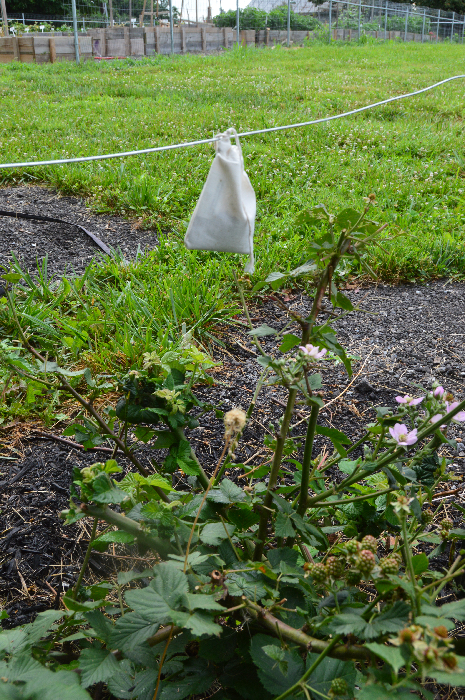 1) Blood meal: you put this in small cloth bags and hang them on vulnerable plants (one per plant). It works! They saved our orchard. 2) Blood spray: pigs’ blood, mostly. Spray this around vulnerable plants (and on the leaves). 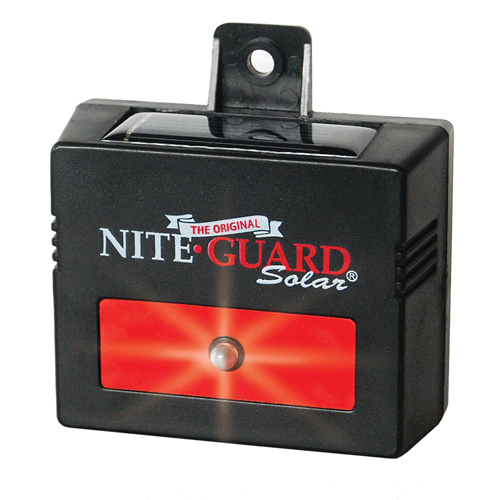 3) Fire light: this is a solar powered box, the size of a soap bar, that features a blinking red light. To the deer, a flickering red light registers as fire. Supposedly, this scares away the deer. With these three in place, we seem to be doing okay. But setting out deterrents is time-consuming and it demands vigilance. And there’s always the possibility that some rogue deer will not be deterred. One hungry deer can ruin years’ of cultivation. If you’ve got remedies, we’d love to hear them. I know of one gardener who has given up growing roses because the deer eat her rosebuds as if they were bonbons. Deer have enjoyed great PR for decades. 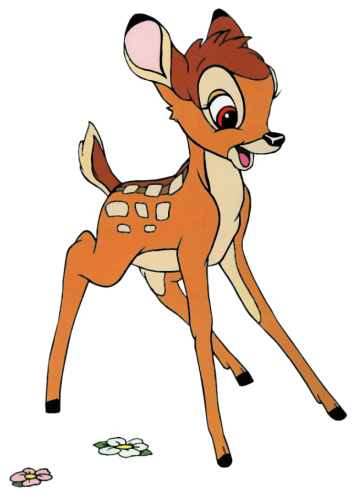 We can blame Disney’s 1942 animated blockbuster–Bambi–for that. Up until that point, deer were considered “game” animals. After Bambi, they came to seem like pets and many citizens were eager to protect them. I wasn’t surprised to learn that deer cause 2 billion dollars of damage every year. But deer are just doing what deer were born to do. Sad to say, their ravenous rampages are our fault because we killed all of their predators and encroached on their habitat. That’s why they’re happily browsing in our back yards. What we need are wolves. And bears. The coyotes help a bit, I’m sure. And hunting helps too. Still, there are a lot of deer out there. 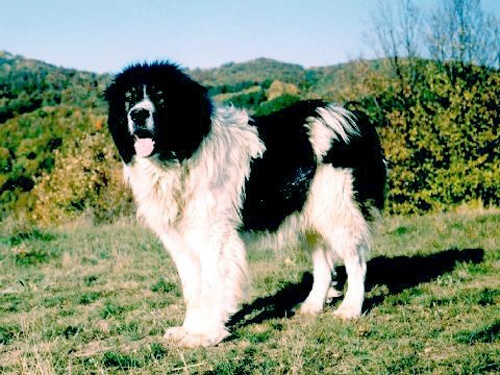 Our sure-fire remedy is coming, however: Karakachans, Bulgarian livestock guardian dogs. Next spring, when we get our chickens and sheep, we’re getting two Karakachan puppies to protect them. Six months after that, they should be patrolling the grounds regularly and they won’t be inclined to welcome interloping deer. In the meantime, we’ll live a bit on edge, nervously eyeing the 100 surrounding acres, where the deer roam willy-nilly, without a fear in the world.